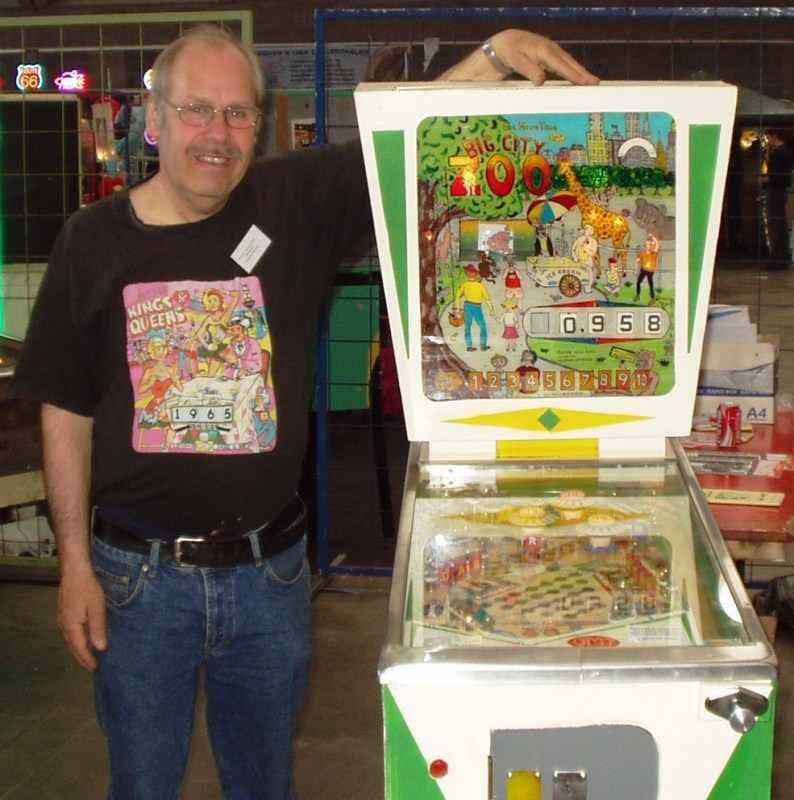 Henk de Jager had brought this custom pinball machine with him to the Collecter Fantasies Show in Mechelen, 2005 edition. Many people probably saw it, glanced at it, and walked further without really knowing the story behind this machine. At first sight the machine is not impressive at all: it's small, electro-mechanical, and hand-painted. 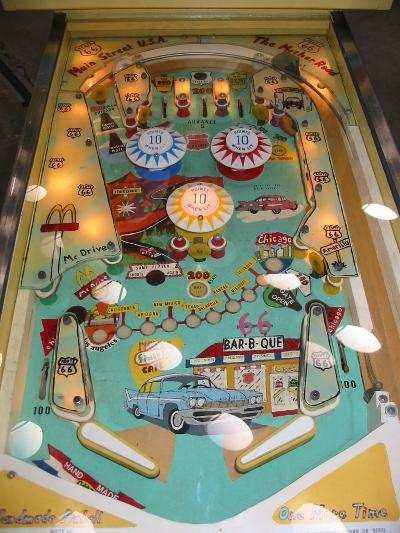 It looks as someone put flippers, targets and bumpers on a playfield, hooked them all up, and made a backglass and playfield drawings. Just a small project someone did in a few hours of time ? The truth couldn't be more different. Don't let looks deceive you ! 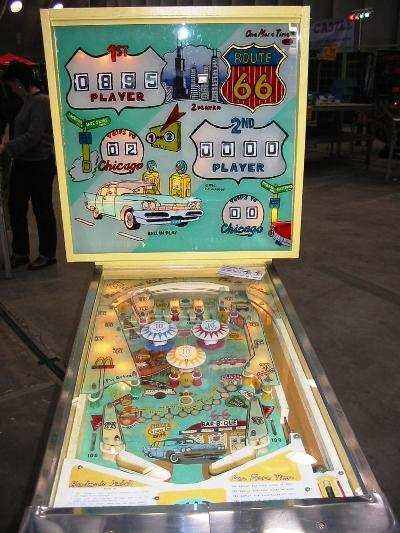 What looks to be a simple machine, is maybe the most complex electro-mechanical pinball machine ever made ! 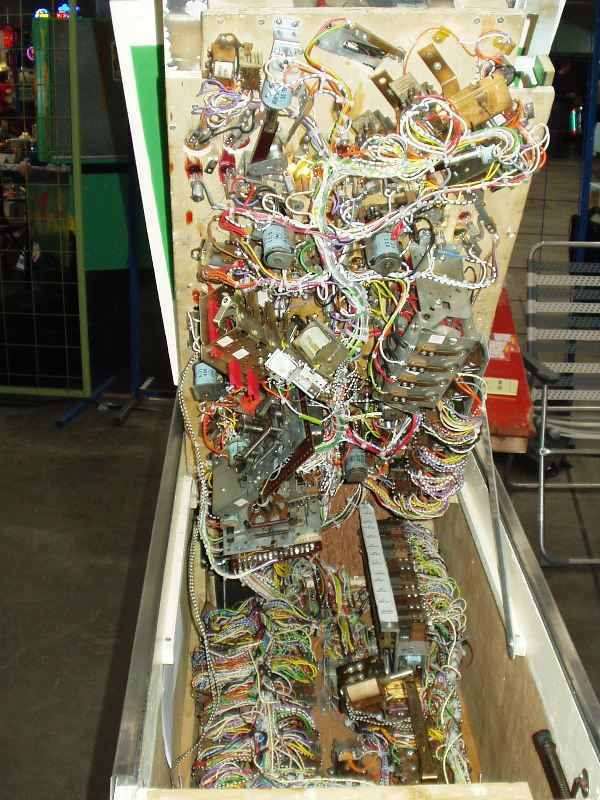 Once Henk lifts the playfield, you start to get respect for the work he has done. 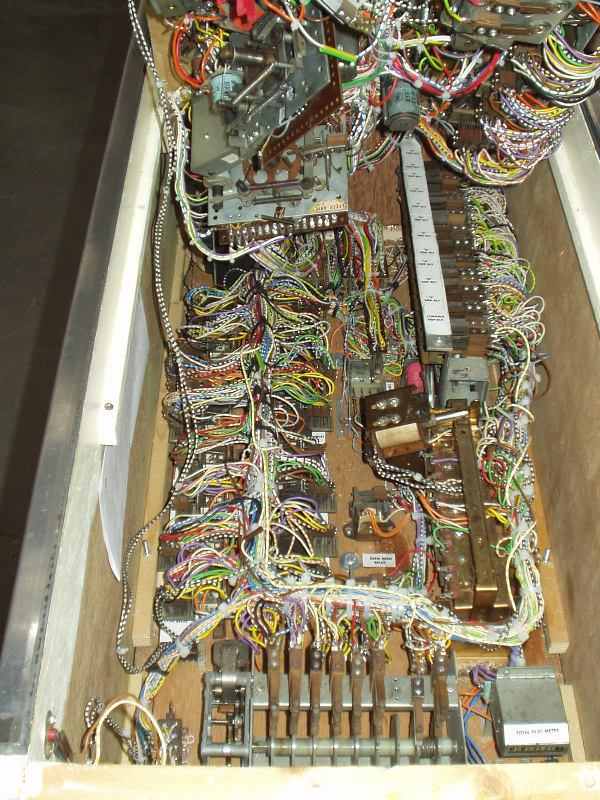 Just look at all the different wires.. it must have taken days to solder them all ! 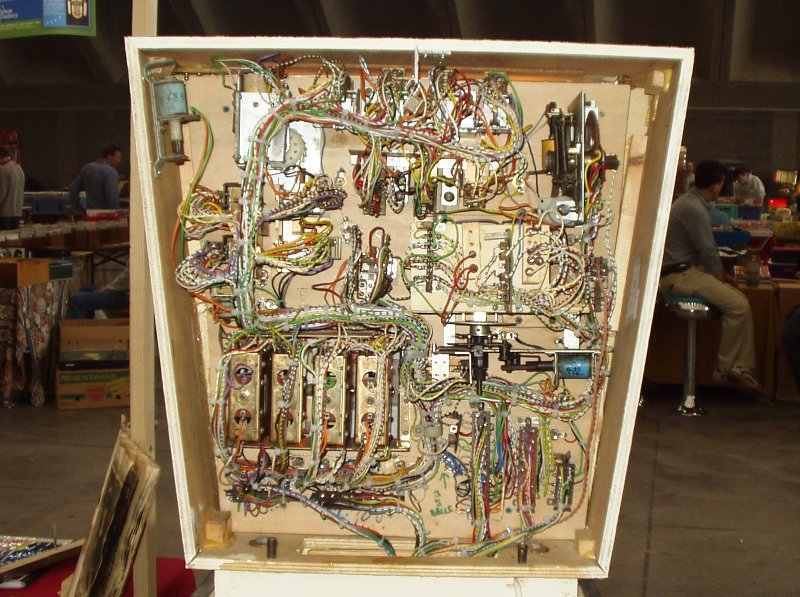 And they're all new wires, an unusual sight, I always see old, dirty and faded wires in electro-mechanical pinball machines. Henk also explained the rules, as they're quite complicated.. and if there was any more room left in the cabinet they may have been even more complicated ?! The game is very drop-target based. Scattered around the playfield are many drop targets, each one spells a different letter. 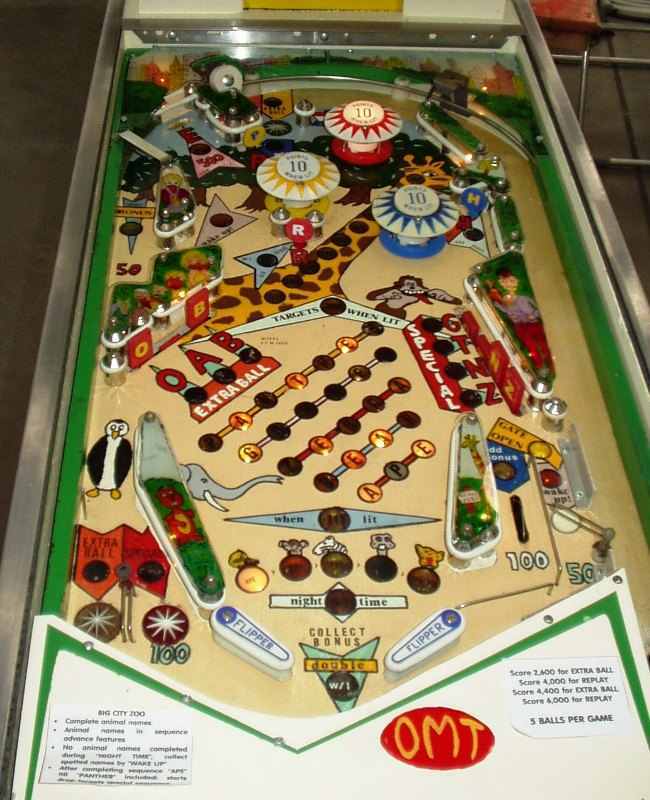 In the middle of the playfield are lights which spell animal names: APE, BEAR, ZEBRA, GIRAFE and PANTHER. So i.e. hit the drop target for the letter A, and the light of A will lit in all these animal names. Once you have spelled all letters of one animal, the cycle ends: you get the points for the name you spelled, all targets raise and letters dim again. If you check the names of the animals you see there is one major problem: PANTHER contains all letters of APE. So it's impossible to spell panther because ape is always triggered first ? Well, there is a workaround for this. 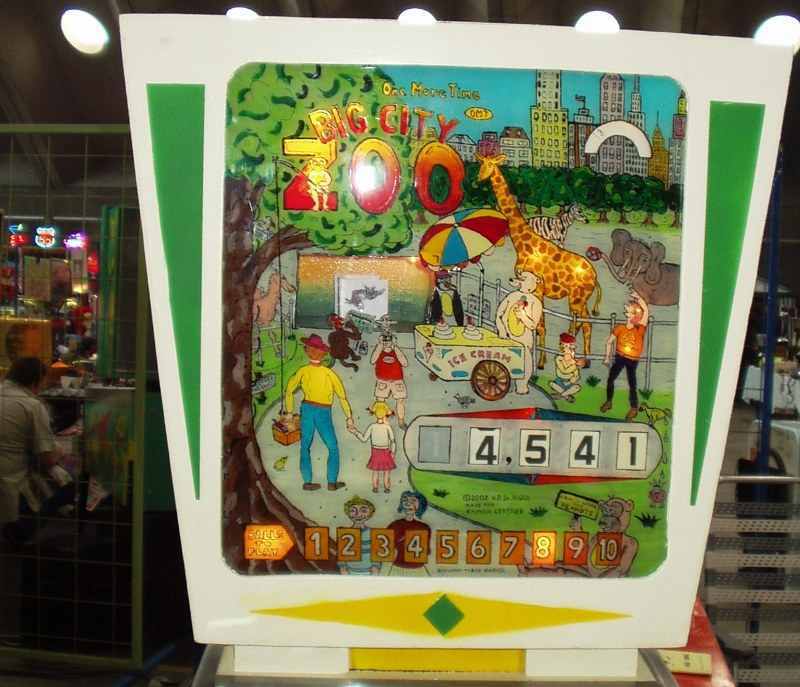 At the top of the playfield there's a rollover that closes the zoo. When it's nighttime, you can spell every letter and it will not activate the animal. Once you've spelled the PANTHER, wake up all animals using a different rollover which opens the zoo again, and you'll score the panther points. This also enables the targets which score the extra ball (the game is add-a-ball) and the special. 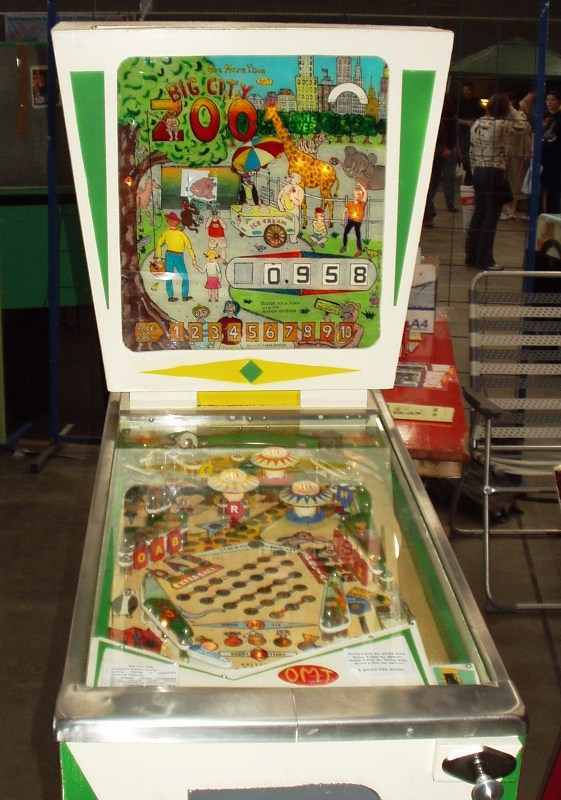 A final detail: at the bottom right of the playfield there's a gate. 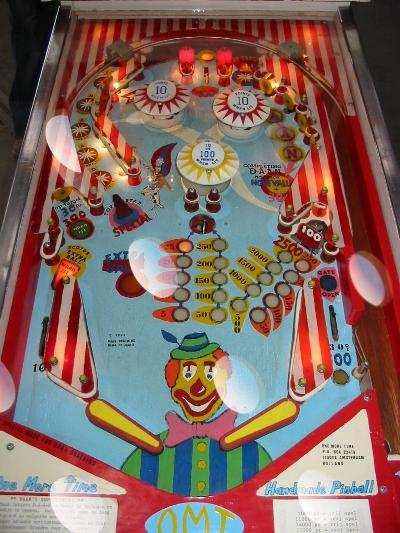 Nowhere on the playfield are instructions on how to open or close this gate. It's simple though: spell g-a-t-e by hitting the correct drop targets. I hope this (even not complete) explanation of the rules proves how complicated this little machine is, and the respect one must have for Henk de Jager who is able to design and construct everything himself. 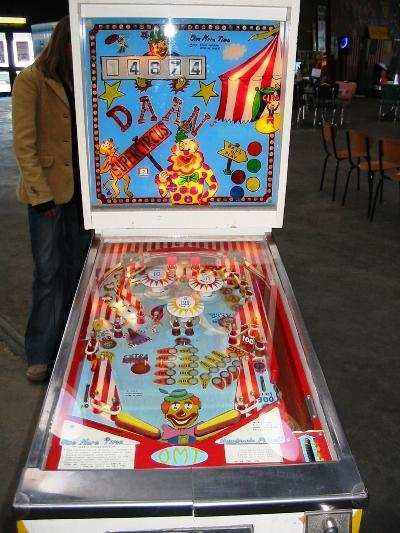 Two years before, in 2003, Henk had also brought two custom pinball machines to the Collector Fantasies show: Route 66 and Daan.